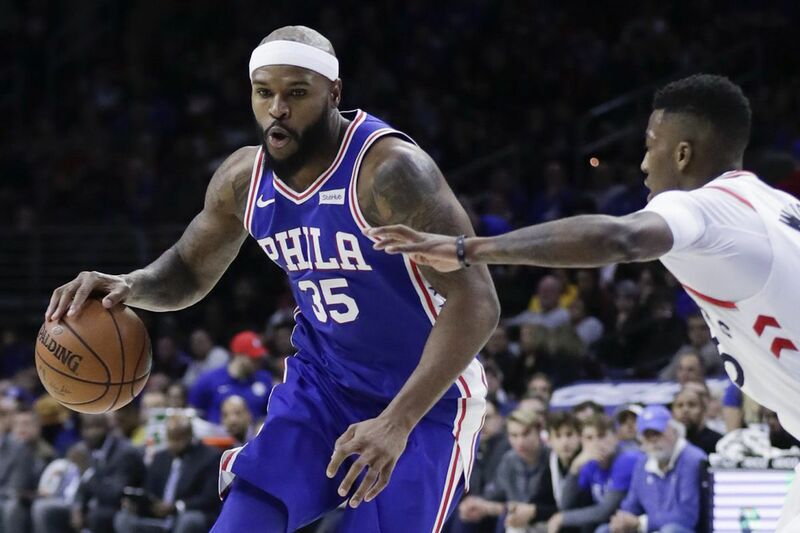 Sixers forward Trevor Booker, dribbling the basketball against Toronto, might not be in Philly much longer. MIAMI – Trevor Booker knows his days as a 76er are likely to end soon. The reserve power forward said "he's heard from a couple different people" that he could be bought out of his contract. "I've talked to my agent," Booker said after Tuesday's shootaround. "It's a possibility. But I'm not worried about anything. "At the end of the day, everything is going to work out the best for me." Tuesday morning, the 30-year-old power forward was unsure if he would play in that night's game against the Miami Heat because of the possibility of being released. It turns out that he was available to play. However, there's a great chance that it would be his last game as Sixer. Team president of basketball operations Bryan Colangelo declined comment. But the Sixers need to create a roster spot for Ersan Ilyasova. The sharp-shooting forward was bought out of his contract with the Atlanta Hawks on Monday and is expected to clear waivers on Wednesday evening. At that time, he's expected to rejoin the Sixers. Booker is the likely candidate to be released. The Sixers acquired him from the Brooklyn Nets on Dec. 7 for Jahlil Okafor, Nik Stauskas and a 2018 second-round pick. Booker, whose contract expires at season's end, was never a part of the Sixers' long-term plans. Entering Tuesday, he had averaged 4.7 points, 3.7 rebounds and 15.0 minutes over 33 games with the Sixers. The NBA deadline to waive a player is Thursday. However, one can expect the Sixers to waive someone sooner, probably Wednesday. "First and foremost, you understand that it's a business; it won't get to you as much," Booker said of possibility of being waived. "It is what it is. I understand that. I'm fine with it. "If I do get waived or bought out, whatever it is, I have a lot of teams interested in me." The eighth-year veteran declined to name the teams that have shown interest. Richaun Holmes has been productive whenever he gets to play. The problem is that playing time has been hard to come by for the reserve post player. Coach Brett Brown was asked Tuesday morning about his approach to using Holmes based on his stellar play in Saturday's and Sunday's games. "You know that you have something that is kind of unique available to you," Brown said. "So you choose how to use it, when to use it, etc." On Saturday, Holmes had four points on 2 for 3 shooting to go with eight rebounds, four assists, one steal and one block in a victory over Orlando. In Sunday's loss to Washington, he had seven points on 2 for 4 shooting to go with two rebounds and a block in just 11 minutes, 41 seconds – all in the second half. Holmes received scheduled playing time in place of backup center Amir Johnson on Saturday. Looking for a spark, the Sixers inserted him in Sunday's game. "There's no sort of … response that I can give over than the generic 'It's pretty good to have him available to us,' " Brown said.